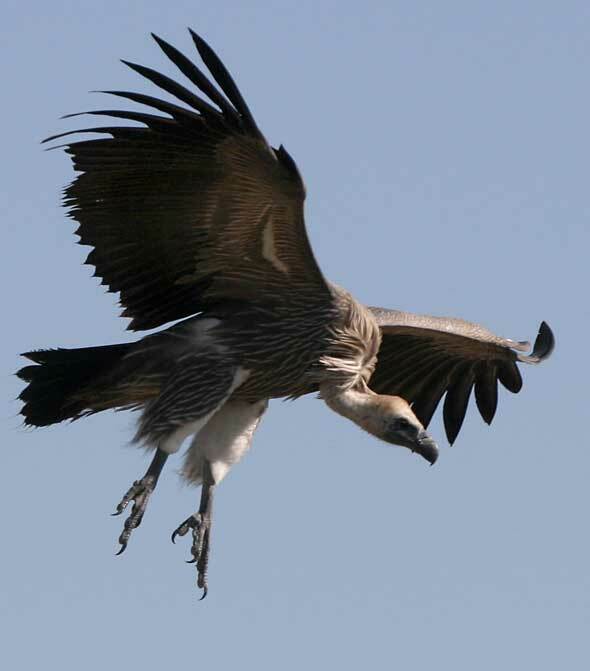 Photo Details: Whitebacked vulture (Gyps africanus), with undercarriage lowered and flaps down, comes in to land, Mashatu Game Reserve, Tuli Block, Botswana. Camera: Canon EOS 400D (Digital Rebel XTi); Lens: Canon EF80-200mm F2.8; Focal Length: 200mm; Shutter speed: 1/2000; Aperture: f5.6; ISO: 400. 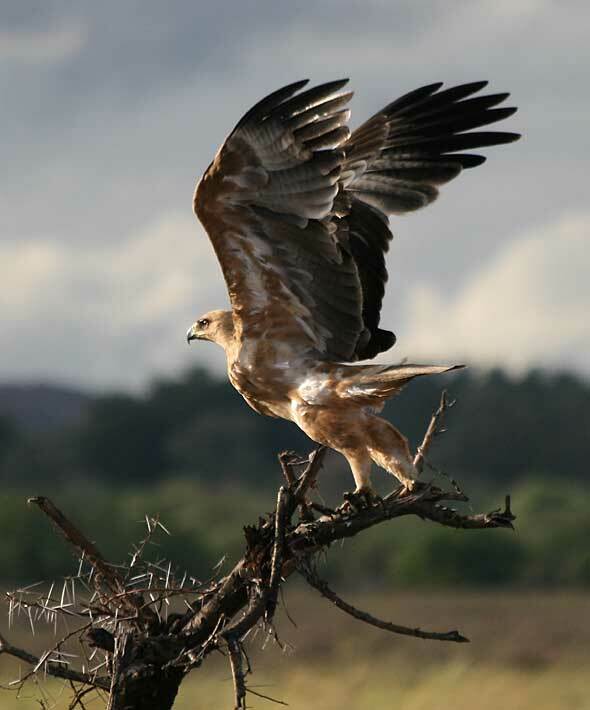 Photo Details: Tawny Eagle (Aquila rapax) about to take off from its perch on an old tree-stump, Mashatu Game Reserve, Tuli Block, Botswana. Camera: Canon EOS 400D (Canon Rebel XS 10.1MP); Lens: Canon 70-300 F4-5.6 IS USM; Focal Length: 300mm; Shutter speed: 1/1600; Aperture: f5.6; ISO: 400. 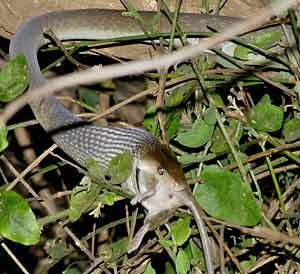 Photo Details: Black mamba (Dendroaspis polylepsis) swallowing a rat, Lower Zambezi National Park, Zambia. Picture by Roddy Smith. The deadly black mamba is a snake that strikes fear and dread in the hearts of those living in Africa. Its large size (up to 4m/12ft or more in length) and potent neurotoxic venom make it a definite contender for Africa's most dangerous snake. Yet there are many myths surrounding the black mamba that exaggerate the snakes' capabilities to legendary proportions - for example: "you only get two steps after you're bitten then you're dead". 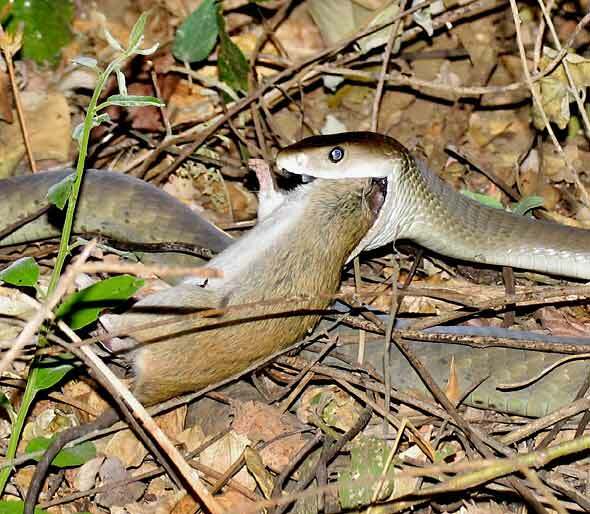 Conservationist and veteran safari guide Roddy Smith, who took these pictures of a black mamba devouring a rat outside his tent in the Lower Zambezi National Park in Zambia, tells us more about the mamba and other snakes in his article, Black Mamba Myths and Other Snake Stories in our Wildlife Info section. 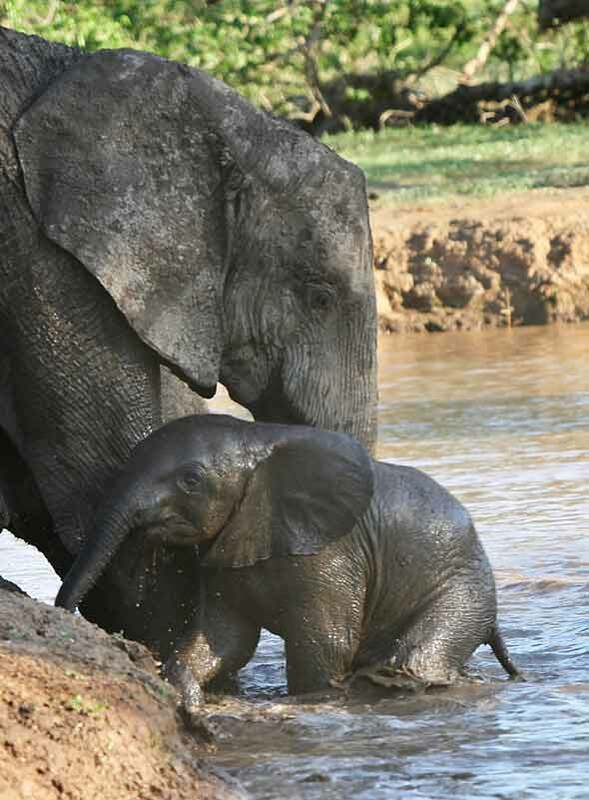 Photo Details: Adult female elephant (Loxodonta africana) uses her front legs and trunk to help a baby from the river after the herd had been for a dip, Mashatu Game Reserve, Tuli Block, Botswana. Camera: Canon EOS 400D (Canon Rebel XS 10.1MP); Lens: Canon EOS 80-200 F2.8 zoom; Focal Length: 200mm; Shutter speed: 1/400; Aperture: f4; ISO: 200. 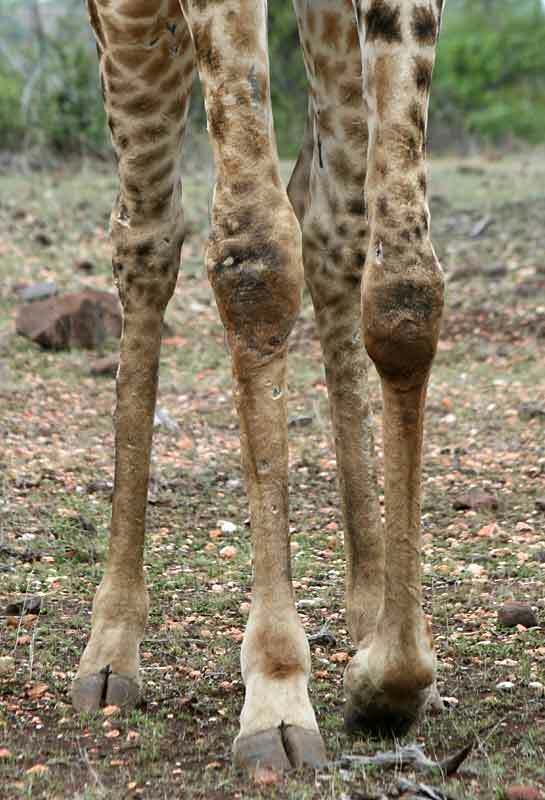 Photo Details: Close view of the legs of an adult giraffe (Giraffa camelopardalis), Mashatu Game Reserve, Tuli Block, Botswana. Camera: Canon EOS 400D (Canon Rebel XS 10.1MP); Lens: Canon 70-300 F4-5.6 IS USM; Focal Length: 200mm; Shutter speed: 1/200; Aperture: f8; ISO: 400. Additional Info: The giraffe is Africa's tallest mammal, reaching heights of more than 5m (16ft) from head to toe. It's neck is extraordinary and can itself be around 2.5m (8ft) long, accounting for half the animal's total height. And it's the neck and head we tend to look at when viewing giraffes - so I thought it'd be interesting to focus for a change on the long, skinny legs that have to carry that large body around. When viewed from the side, a giraffe's front legs look longer, but front and back legs are about equal in length at around 1.8m (6ft). Each foot - which is about the size of a soup plate or 20cm (8") in diameter - has just the two toes.